My card today features the new Mesmerizing Mandala Background. 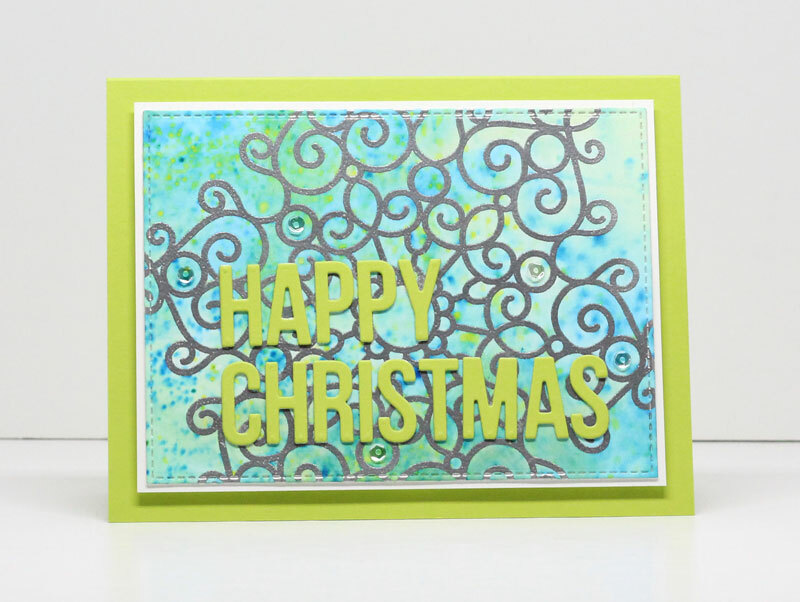 I heat embossed it in silver and then used Color Burst to create an interesting colored background. I used a previously-released die, Happy Wonderful Christmas, and adhered it over the design. A few sparkling sequins finished it off. These products and much more will be available for purchase in just 5 days, on October 3 at 9 PM EDT. Be sure to check out the MFT Blog to see what the rest of the team has come up with today. The mandala makes a beautiful card all by itself! That's such a stunning card ! 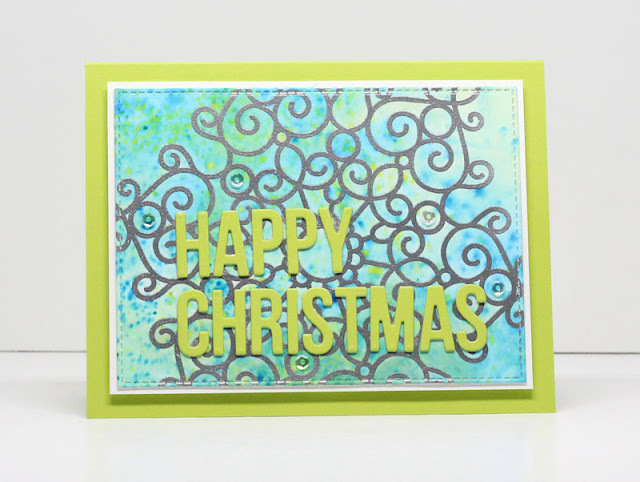 I really like the non-traditional colors and the way you used the mandala die cut!